Not all sprinklers are created equal, and not all growers’ needs are the same. The right sprinkler can have a huge impact for a number of specific reasons. The i-Wob just got even better with the i-Wob2. The i-Wob from Senninger was already the most imitated irrigation sprinkler on the market, but now it’s even better. The new i-Wob2 is designed to be the longest-lasting wobbling sprinkler. 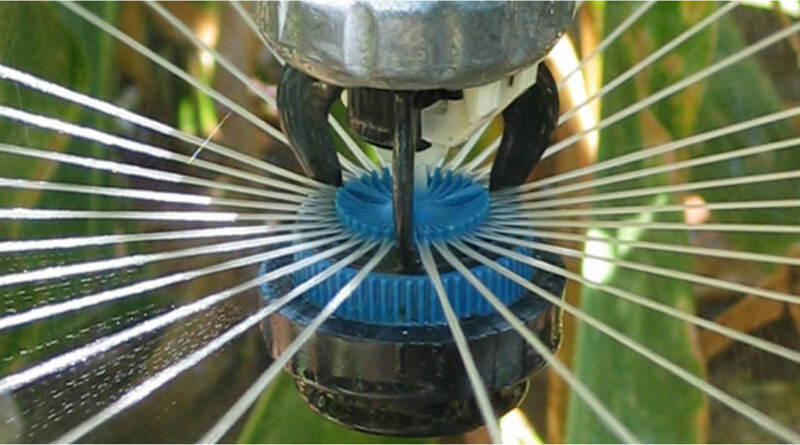 With improved wear surfaces and a protective shroud that doubles as a nozzle carrier, the i-Wob2 is designed for those areas where water quality may cause higher wear on sprinklers and irrigation components. Plus, the i-Wob2 is backed by an industry-best three-year warranty on materials, workmanship and performance. 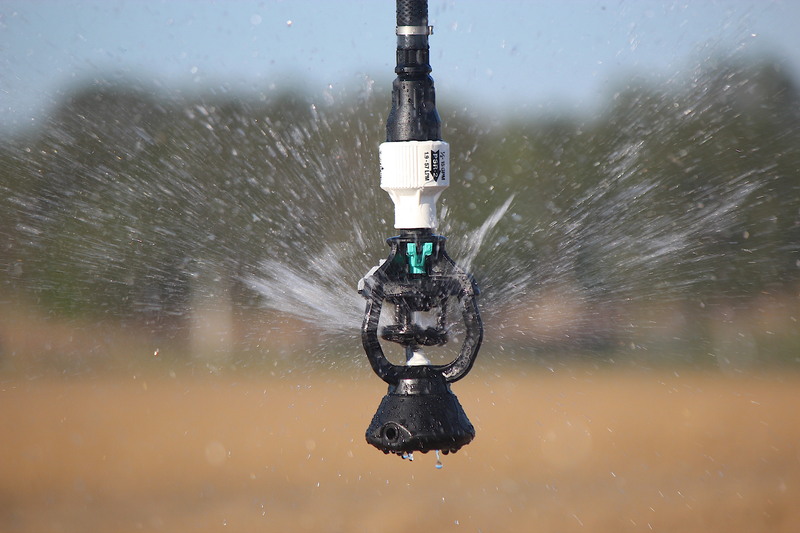 Most of Senninger’s other agricultural sprinklers and pressure regulators carry a two-year warranty, double the warranty offered by other manufacturers. A three-year warranty is unprecedented. It’s a win-win: durability backed by a guarantee. Deciding which sprinkler to use is never an easy task. Droplet size – You should take the soil’s characteristics into account to get better infiltration and maintain good soil structure. Ideally, droplets should be large enough to combat the effects of strong winds, but not so large as to disrupt the soil. Application intensity – While larger droplets resist wind and evaporation, their higher kinetic energy can lead to surface sealing and erosion on tighter soils. Smaller droplets are suitable for tighter soils, while looser soils can utilize larger droplets. Application rate – While the application rate can be adjusted to the specific crop and growth stage, considering only the needs of the crop – while neglecting the soil – could result in lower yields. The application rate of a sprinkler must match the infiltration rate of the soil to prevent runoff and over- or under-watered areas within the field. Sprinkler height – The proper sprinkler height will help to ensure maximum water application uniformity based on crop height. Distribution pattern – How far apart on the span should your sprinklers to be to be certain water is applied evenly over the entire field? How much water do you have available and how much do you need to apply? Do you need to change application rates during the growing season? High or Low? Fixed or Moving? Height and movement can be critical decisions when choosing a sprinkler package. 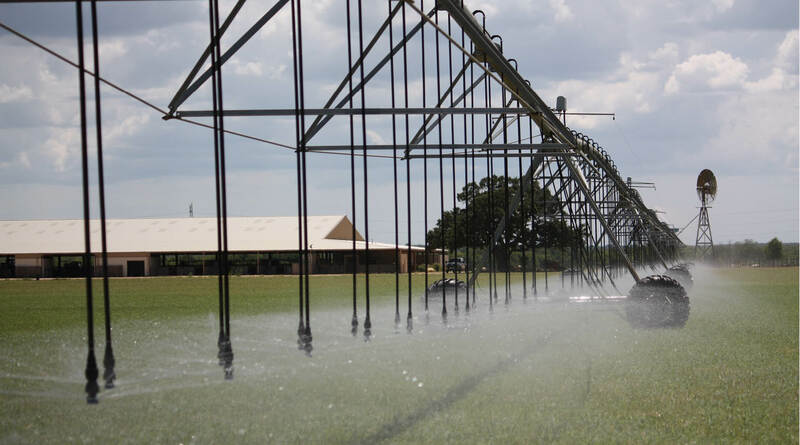 What works well in one area may not work well in other areas, but a wide array of irrigation sprinklers exist to address far-ranging challenges. These include fixed sprays, moving deflector heads and even high-pressure impacts. Additionally, irrigation sprinklers can be installed in various ways: from the top of the pipe to just above the ground. Top-of-pipe application for high-profile crops is often preferred by growers who want to apply chemicals above the crops using their irrigation system. Sometimes growers use high-pressure sprinklers for these installations, although there are several low-pressure options available when used in conjunction with pressure regulators. Sprinklers mounted at different heights range from fixed sprays to moving deflectors. Low-pressure applicators utilize pressure regulators to help maintain droplet size, distribution pattern and uniformity. In dry areas where water is in short supply, there is a renewed interest in LEPA sprinklers. These low-pressure installations reduce the spacing between drop hoses to 40 inches or less and mount sprinklers with bubbler inserts as low as 18 inches above the ground. This installation has demonstrated increased yields of various crops using less water in different regions across the country. There is another consideration when selecting a sprinkler: the quality of the available water. We now have a good solution. Valley Irrigation is proud to partner with the experienced team at Senninger. 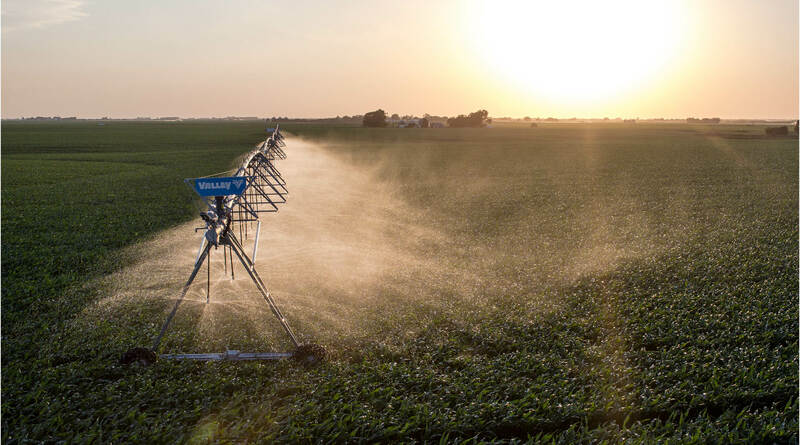 Because we live in a digital era, growers can research sprinkler options online, and sprinkler manufacturers are ready to address any questions about sprinklers. With 55 years of irrigation experience, Senninger is proud to have supported Valley® Irrigation and Valley dealers for 45 years. Senninger encourages growers to consult a Valley dealer for professional installation guidance.